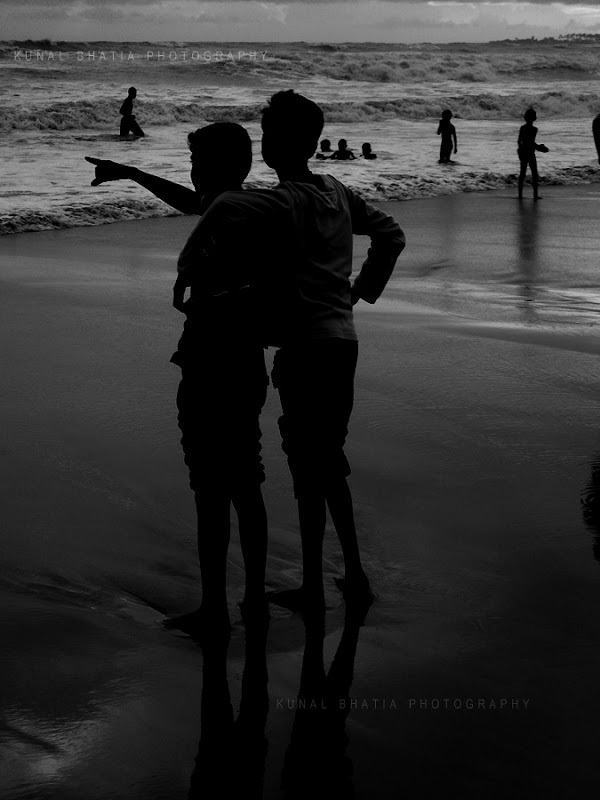 What a great beach photo of two friends! Very effective in B&W. You feel the power of the ocean. Very nice one, you can tell they are buddies indeed!